Screen shots of Zabriskie Point. Click to enlarge. Well, that “follow-up” post is now here. I took over ten times as many screen shots as you see above, so editing the grid down to this group of 40 images was challenging. You could easily make many other equally interesting composites out of different selections of images, and you might even find the task as interesting and enjoyable as I did. 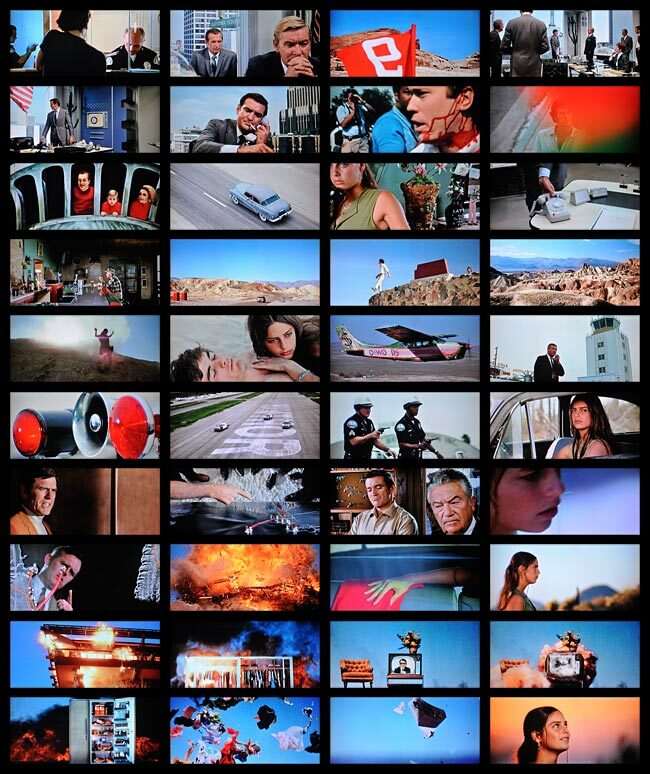 As the narrator of the original Zabriskie Point trailer says, “Zabriskie Point. How you get there depends on where you’re at.” These 40 images represent where I’m at with this film, at this moment in time.